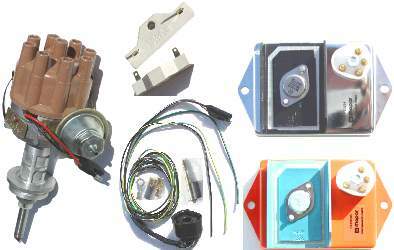 This kit comes complete with Mopar Performance Orange Control Unit (Part # 4120505), Ignition Box Harness Kit (Part # 3690152), Ballast Resistor (Part # 5206436) and Distributor Assembly with Cap. 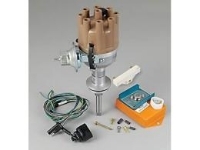 Kit Comes Complete With Everything Needed To Convert To Electronic Ignition! This Distributor is unique because it has the stock distributor advance rate. Perfect for a street car or truck application. We have found the Mopar Performance distributors have too quick of an advance rate for street use, causing surging, and bucking in vehicle, sometimes even causing owner to use other than pump gas. The Mopar Performance Electronic Ignition Kits are no Longer Available from Mopar! BUT OURS ARE STILL AVAILABLE!